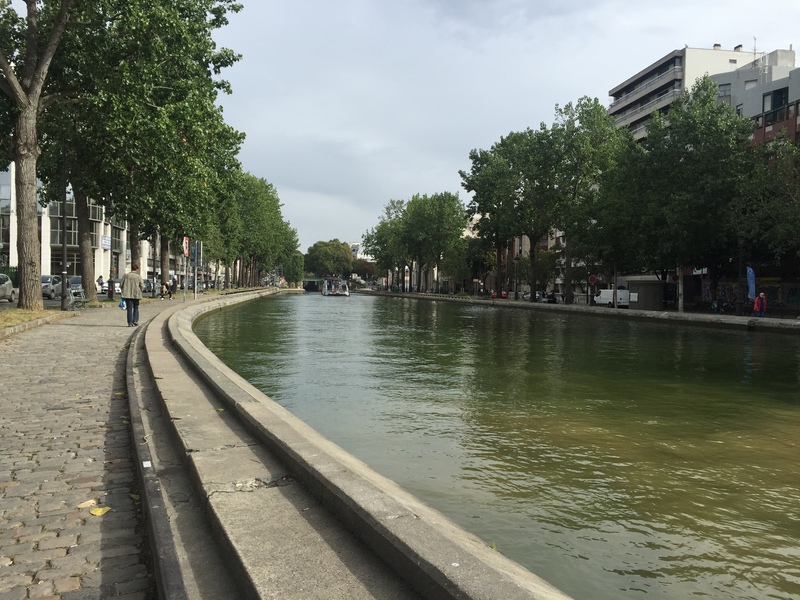 This morning we took the metro to the Republic metro stop and followed a “Paris City Walk” route along the Saint-Martin Canal. 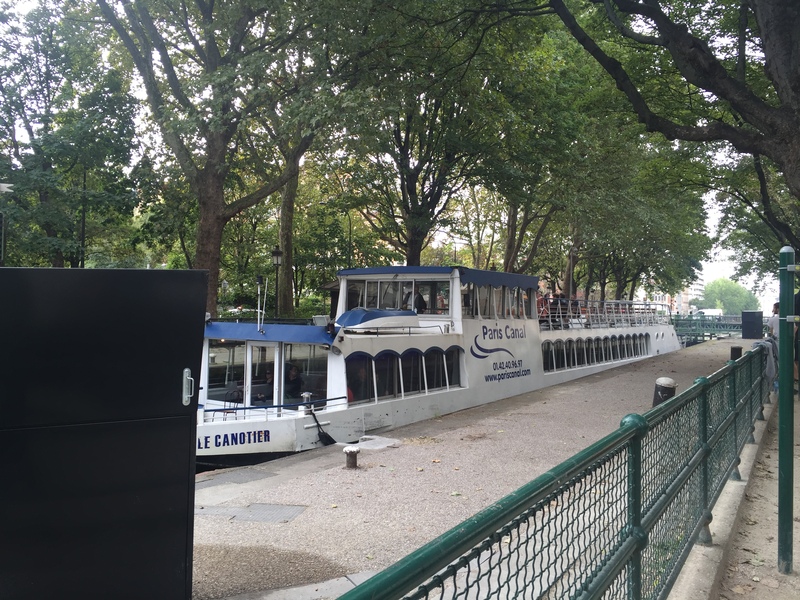 Someone at our cooking class had recommended the Canal Saint-Martin boat cruise, but many of the comments I read about this excursion said it was long and slow. So, we decided to explore the area on foot. 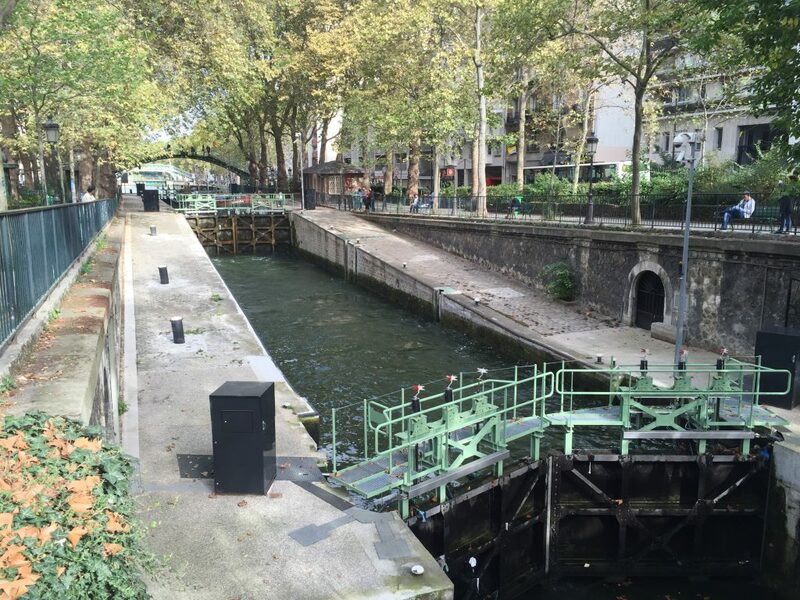 The 4.5 km canal was originally built in 1802 to supply fresh water to the city. It was interesting to observe the lock system in action. 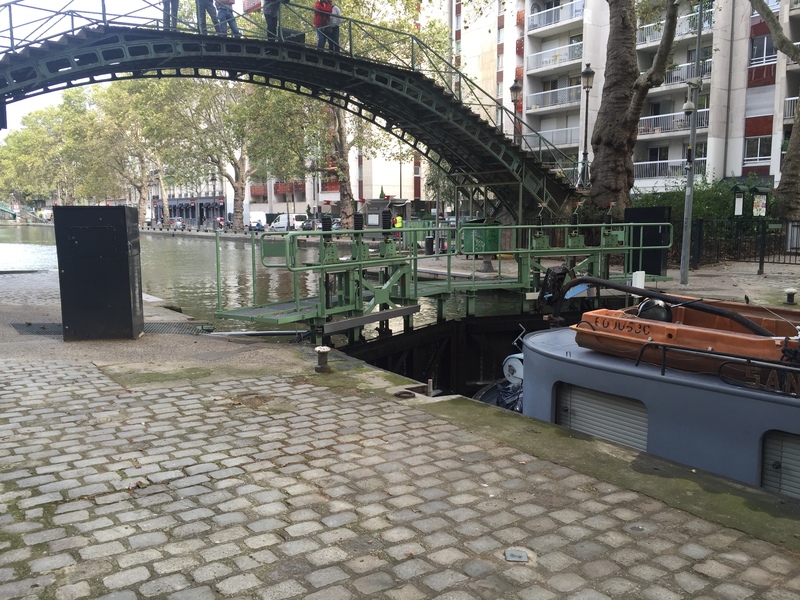 Although there were some lovely arched bridges over the canal, we did not find the area as charming as the descriptions we read said it would be. Part of the walk took us through a little tent encampment for homeless people. 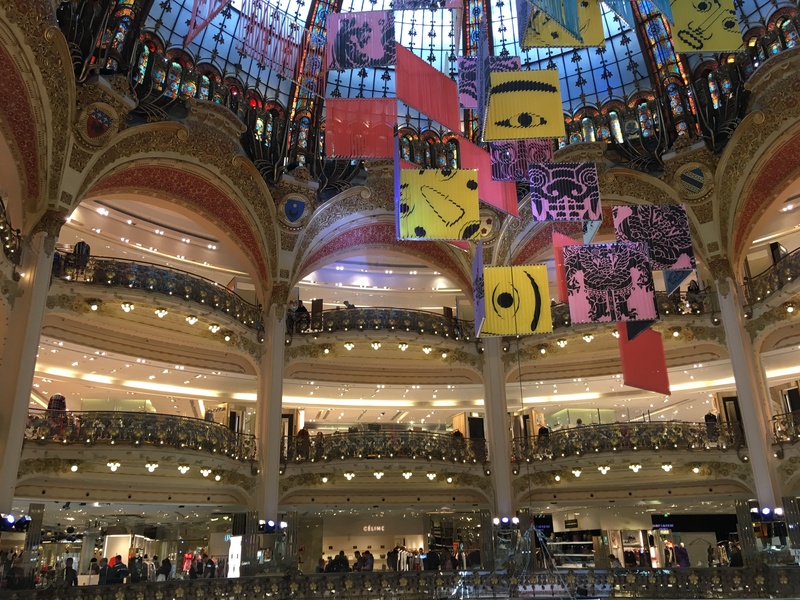 Although the area seemed a bit dreary, it was interesting to see a different side of Paris. From there we went for lunch at a charming little bistro and sat at a corner table looking out onto the sidewalk. 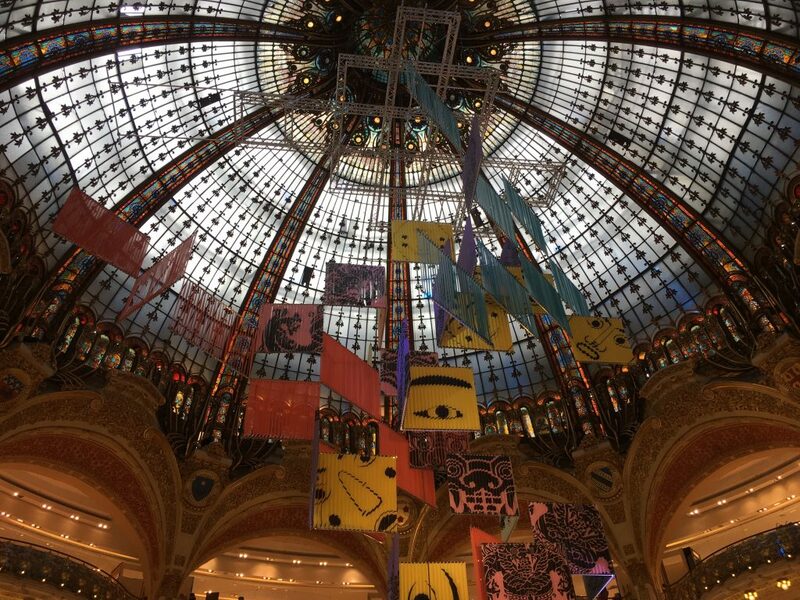 We did a little shopping at the beautiful Galeries Lafayette department store. 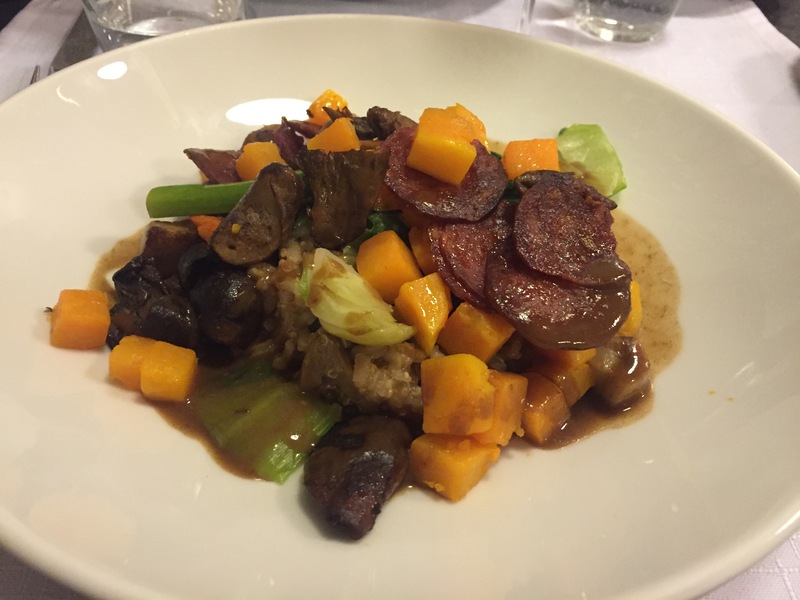 We ate dinner at Le Florimonde, 19 ave de La-Motte Picquet. We walked through a soft rain to get to the warm and welcoming small restaurant. Although not everything we ate on the 38-euro three-course meal was rave worthy, the risotto was amazing and I would return to eat it again. 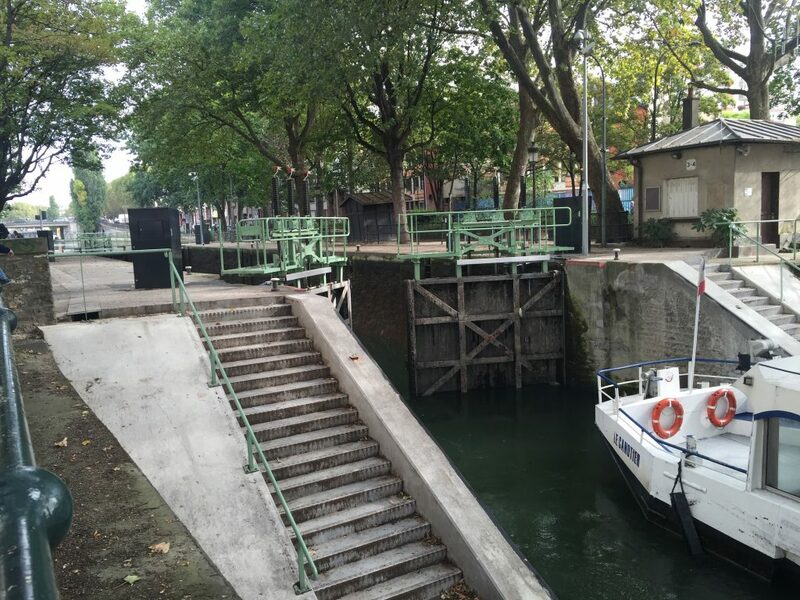 This entry was posted in Amsterdam, Bruges, Paris 2016 on September 30, 2016 by debbie.